A beloved gem of a destination art gallery located at the heart of the “Cowboy Trail”. Featuring ﬁne art and ﬁne craft in all media, by over 200 regional artists, and oﬀering a great range of choices for gifts for others or yourself. Also an eclectic and inspiring book and card section. Unique in all of Alberta, maybe even in Canada! 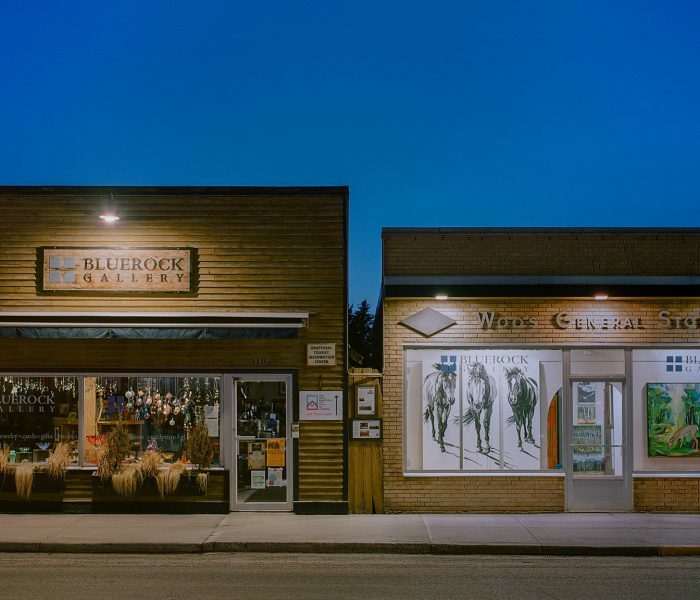 For a complete schedule of what’s happening at Bluerock Gallery during Alberta Culture Day (September 28 – 30, 2018), head over to our Events page. Operating hours may differ during Jan – Mar: please visit Bluerock Gallery’s website for current hours. Copyright 2018. The Most Beautiful Art Tour in Alberta. All rights reserved.